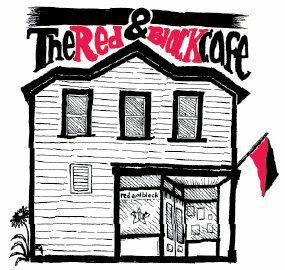 If you’re not familiar, the Red & Black is a worker-owned co-operative restaurant in Portland, Oregon. The food’s all vegan; the ingredients are mostly organic, and either locally sourced or Fair Trade. The worker-owners are organized as an IWW shop, and directly manage their own workplace. It’s also an important hub for the anarchist community in Portland, providing a venue for regular talks, films, and other community events. I just sent $50; which is more than I can really afford right now, but the Red & Black, and places like it, matter. A lot. Any mutual aid you can send their way — or anyone you can tell about this situation — will really help. A little over a month ago we alerted our friends and allies that the Red & Black Cafe was in trouble. We had reached a crisis point, were unable to pay our mortgage, and we made the difficult decision to stop paying ourselves. We’re happy to say, that there’s light at the end of the tunnel. At this point we’re treading water and are figuring out when we can pay ourselves again. The Red & Black clearly matters to a lot of folks! We’re a quarter of the way to our goal of $20,000. So we’re kicking up our fundraising drive and we need even more help to reach outside of our immediate communities. We also have some awesome project ideas and could use help getting them off the ground. If you’ve got some skills, and/or know of someone who can help us out, contact us! Spread the word. Tell your friends, family, co-workers, and that person you just met why you think we’re special! 100% vegan food & drink. We are a space that is unapologetically for animal liberation. We regularly host fundraisers, prisoner letter writing nights and animal lib speakers and workshops. We’re also friendly to omnivores and, we hope, informative and not preachy on the subject. Safer space: We’re committed to supporting survivors of sexual assault and relationship abuse. We are also committed to confronting and disrupting oppressive language and behavior in the cafe and we encourage the same from you or anyone else who sees it. The Red & Black is welcoming to folks who are houseless. Whether or not you have an address you are welcome to: use the bathroom w/o buying something first, have free wifi, charge your phone, use the free computer terminals, get hot water, come to events or meet your friend. We are working with Sisters of the Road to explore the possibility of accepting EBT (foodstamps/snap) from houseless folks, people over 60 and people on SSI! It’s not a sure thing but we’re making every effort to figure this out. Environmental stuff: We pick up coffee and supplies by massive, amazing bike trailer. Our produce is local, organic and bike delivered! We serve food from the lowest trophic level! Labor movement & co-op stuff: We’re an Industrial Workers of the World closed shop (100% union members), we’re worker owned, there’s no boss and we’re all paid the same wage for the same work. Every participates in the day to day restaurant work as well as the behind the scenes work. We act in solidarity with labor every chance we get. This includes buying authentically fair trade coffee from Equal Exchange, another worker owned co-op. We participate in regional and national worker co-op efforts through the USFederation of Worker Co-ops. 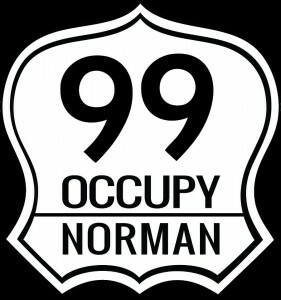 Please donate if you can (anything helps), and share widely! If the “DONATE” button below does not take you directly to the Red & Black’s PayPal page, please log in and enter “general@redandblackcafe.com” as the recipient. Stay tuned: we’re organizing a volunteer days to make major improvements to our space. Book your event with us! This is huge; we need your awesome events! Keep in mind that we do music, film, workshops, fundraisers for cool groups, game nights, art openings etc. For selected events, we will stay open til Midnight! It’s easy just go here: redandblackcafe.com/event-booking. The Red & Black is in trouble. Our finances have reached a crisis point. This situation has been brewing for many months as our cash flow slowly dried up. To be blunt: we are unable to make our mortgage payment on time and we’ve bounced checks to some of our vendors and staff. A couple of days ago at our collective meeting we contemplated shutting our doors for good. So what happened? Like many other local restaurants after 4+ years of recession (depression? ): we need more business. In this economy many people have less money to eat out. Our situation is compounded by the fact that we have never had anything near a comfortable amount of working capital. We attempted to raise sufficient capital during the fundraising drive we held when we decided to buy our building. While we did raise enough money to make our down payment, we were far from our goal. This left the collective financially vulnerable to the point that a slow month could bankrupt us. . . . 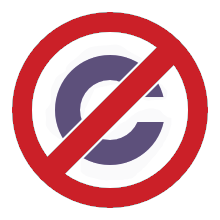 While there are several things we do that don’t make a lot of business sense, financially, they are things we refuse to compromise on. We are welcoming to unhoused folks who often can’t afford to spend money at the cafe. We make most of our food from scratch which is labor intensive and because our ingredients are (mostly) organic, they are more expensive. We are also much more than just a restaurant. We are a community space; specifically we are a radical, queer-positive safer space; an important hub for many overlapping grassroots political projects, a cop-free zone, an amazing vegan restaurant, a music venue, a hangout and meeting space for Industrial Workers of the World union members, a low income collective household upstairs— the list goes on. In order to meet this challenge head on we’re making changes that we believe will not only avert catastrophe, but put us on a path of financial sustainability. The most dramatic and immediate change is that we’ve decided to work without pay until we can turn this situation around. This decision is both difficult and easy to make. Difficult because we, as individuals, can’t afford it for long and because we are a closed union shop with the goal of paying ourselves a living wage. But the decision is also easy because the alternative is something none of us want: losing the Red and Black. So we are fundraising $20,000 in donations, gift certificates and merchandise sales. This amount would not only cover our current obligations, it would mean having an adequate amount of working capital for the first time. We would be able to afford to go back to a paid wage, to purchase adequate equipment, fix the window, and keep the building. This is a crucial time for the Red and Black and we need your help! . . . Please visit our website www.redandblackcafe.com to donate and Twitter @redandblackcafe for updates on our hours and menu. . . .